A former employee opened fire at Bronx Lebanon Hospital on Friday afternoon, killing one doctor and injuring 6 other people. Checkey Beckford reports. A doctor shot seven people inside a New York City hospital, one of them fatally, before turning the gun on himself in what appears to be a case of workplace violence Friday afternoon, officials say. The assault rifle-wielding gunman at Bronx Lebanon Hospital was dressed in a white medical coat when he shot six people on the 16th floor of the hospital shortly before 3 p.m., NYPD Commissioner James O'Neill said at a news briefing outside the hospital. A seventh victim, a female doctor named Tracy Sin-Yee Tam, was found killed on the 17th floor of the hospital. 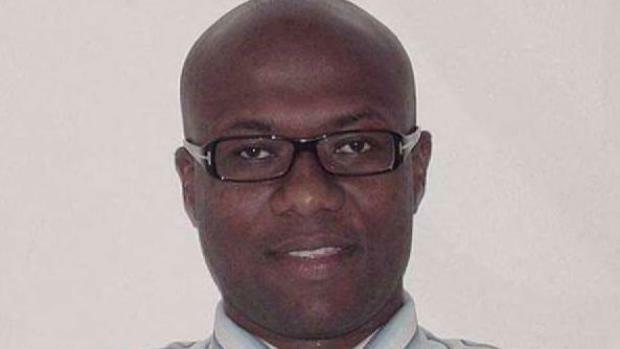 The shooter has been identified as Dr. Henry Michael Bello, a 45-year-old family medicine doctor formerly employed at the hospital, according to sources. Authorities said Bello hid the rifle under the white medical lab coat he was wearing at the time. It's unclear exactly how he made it past security, but authorities said he had his old badge on him. Witnesses shared their stories of survival after a deadly shooting at a Bronx hospital. Ray Villeda reports. Bello went to the 16th floor of the hospital and asked for a specific doctor, a senior law enforcement official told News 4. When he was told that doctor wasn't there he became angry and started shooting at everybody nearby, apparently at random, according to the official. After shooting the victims -- many if not all doctors -- Bello tried to set himself on fire on the 17th floor of the hospital, O'Neill said. 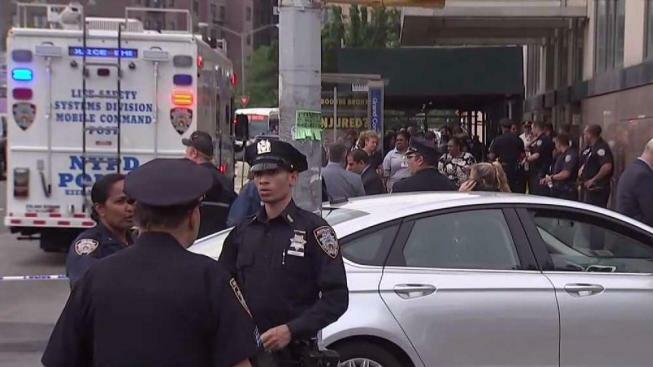 The hospital's fire alarm system activated, and FDNY firefighters went on standby outside the hospital as NYPD continued its active shooter protocol inside. 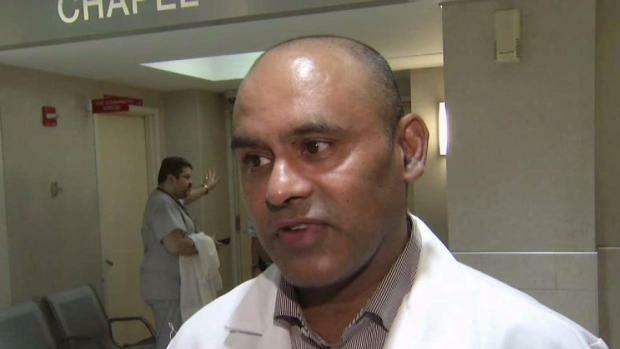 Doctors and other staff members at Bronx Lebanon Hospital helped their wounded colleagues as the shooting unfolded. Michael George reports. By the time police found Bello on the 17th floor, he was dead of a self-inflicted gunshot wound, O'Neill said. A photo provided by authorities shows him dead on the floor, wearing the bloodied doctor's coat. Authorities said his AR-15 was discovered near his body, as was the body of the female doctor who was killed. Five staff members who were found on the 16th floor were in very critical condition Friday night, according to the hospital. They include family medicine doctors, medical students, medical residents and a gastroenterologist. Their injuries were described as wounds to the abdomen, chest and vital organs. The hospital said Friday night that the five staff members have had initial surgeries and will likely need additional surgeries in the coming days. A patient who was also shot was in stable condition. Doctors believe he or she will not suffer any long-term injuries. Officials said some of the victims sustained injuries trying to protect other staffers and patients. A motive in the shootings remains unclear, but authorities say there is no apparent nexus to terror. Sources say Bello started working at the hospital in August 2014, then resigned six months later in February 2015 in lieu of being fired. Circumstances in the resignation weren't clear. As NYPD's most-armed units responded to the active shooter situation, a sea of patrol and tactical vehicles gridlocked the streets around the hospital on Grand Concourse, and police surveyed the roof of the building with their guns drawn, Chopper 4 over the scene showed. Dozens of police vehicles filled surrounding streets, which were wrapped in police tape. A line of ambulance stretched at least 10 ambulance slong outside the hospital. 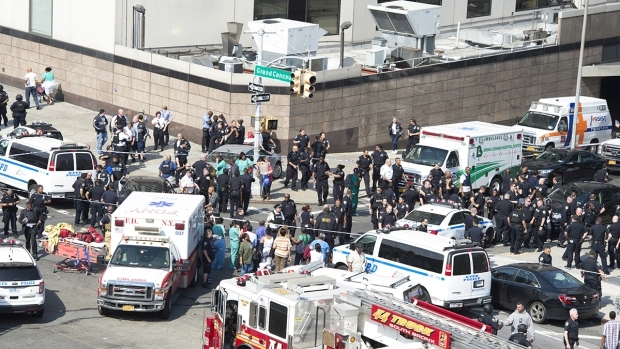 Critical response units and other NYPD commands went floor by floor evacuating the hospital as they looked for the gunman. 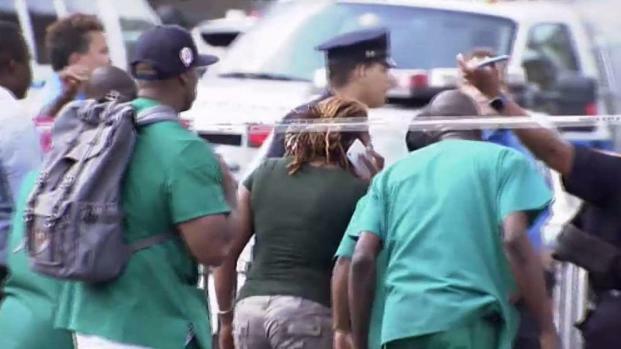 A five-months pregnant woman was in the hospital's pediatrics unit with her fiance when they learned there was a shooter in the hospital. "They said somebody's in there with a rifle shooting people," said the woman, who gave her name as Maya. "Everybody's panicking, everybody's scared." A pregnant woman and her partner describe the fear as people inside the emergency room of Bronx Lebanon Hospital were told there was an active shooter situation. "It was just a panicky rush and everybody was just getting down, and we just hear shots," said her fiance. "After the shots, everybody's just getting down. We just tried to run to the bathroom and close the door in the bathroom." Maya said they were eventually led out of the hospital as they followed a group of nurses. It took them about an hour to get out. Another patient in the hospital said on Twitter that "the last instructions we got were from the NYPD, when they cleared out the room and shut down our lights, they just told us to remain in." 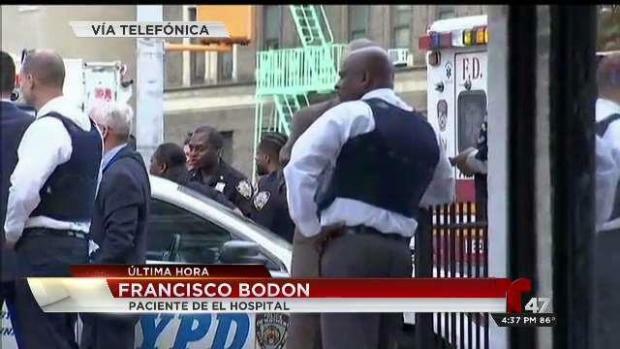 Francisco Bodon, a patient at Bronx Lebanon, tells NBC New York sister station Telemundo 47 that he was in a room on the 10th floor when three gunshots rang out and then chaos erupted. “There may have been more than three [shots], but people were screaming, crying and running around. It was very chaotic,” said Bodon. He said three nurses came into the room he is sharing with another patient and locked themselves in the bathroom. Bodo locked the door to the room, noting the other patient had some sort of a spine injury and was unable to get up from his bed. The 120-year-old hospital, about a mile and a half north of Yankee Stadium, claims nearly 1,000 beds spread across multiple units. Its emergency room is among the busiest in New York City. 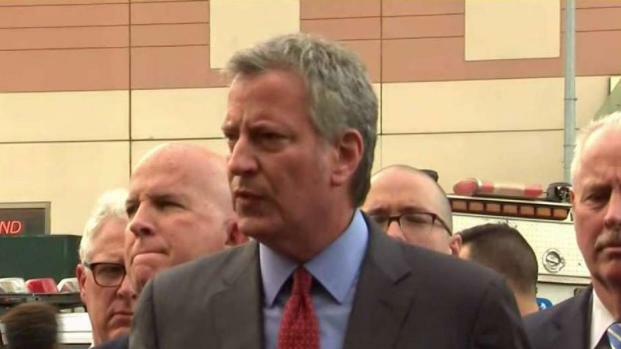 "In the middle of a place that people associate with care and comfort, it came out of nowhere, but even in the midst of this horror, there were many, many acts of heroism," de Blasio said as he thanked police and first responders. Michael George, Ray Villeda and Checkey Beckford contributed reporting. A person is wheeled out of Bronx Lebanon Hospital in a stretcher amid reports of an active shooter in the hospital wearing a white lab coat.